I can assure you it's simply a co-incidence that only my second post in this sure to be short lived series is also about crewnecks. These are an altogether different proposition however and are here on totally different merit. That's not to say the quality of these isn't top-notch, I couldn't know as I have yet to own one, but it's a safe bet it's inferior to that of the Buzz Rickson model. Again, this shouldn't distract you from the appeal of this as it's more the brand ethos, attitude (see below), imagery and social media savvy that gets them top spot here and now. 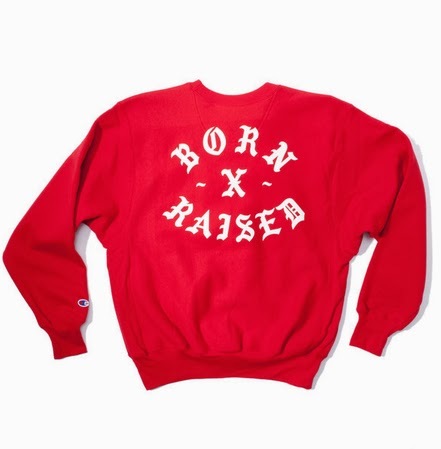 Having released the Snooty Fox on a Champion hoody previously, Born x Raised return to the street styling once again that proved popular before. The back sports the brand name in large Old English font. 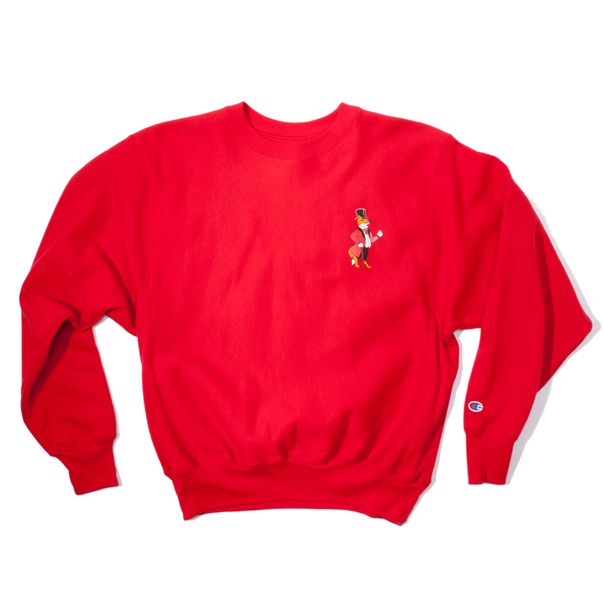 Available across two solid colours, in what looks like the OG Champion USA fit (correct me if I'm wrong please) you can grab yours at selected spots such as UNION LA and WISH ATL . I love the Snooty Fox character, giving the sense of the dapper G(ent). I want to ask Spanto and 2Tone where the idea came from to use this logo. I am pretty sure it wasn't after a visit to The Snooty Fox in Warminster and having consumed one of their reportedly delicious puddings. Turns out my brethren at The Reference Council have the answer to this right here! Their dedication to original and consistent branding, use of colour, print and materials such as 3M have me greatly interested. At $125 a pop I'm still looking at ways to justify the spending on a Locals Only (read - Gangsta) look though. As hood as London can be it is certainly no LA or Venice. The Holiday 13 look-book can be viewed here. 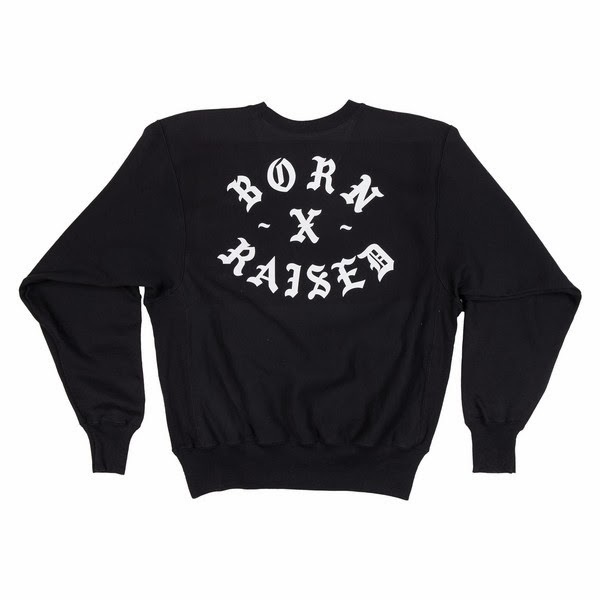 You can get Born x Raised on these shores via The Hideout store although I'm not sure they are going to receive this collection. Also big shout to the team for this cheeky shot in UK lads mag FRONT. Peace.